What do you thing about this match. Last edited by PaulJeo on Sat May 05, 2012 3:29 am, edited 1 time in total. I think we just have to go out and attack and show some f*ckin passion for the fans!!! I think it no longer matters. Start getting the Championship team ready. If Hanley was fit I would replace Givet. I can't work out if Yak will stay. Kean would know more than me and if he thought Yak would not drop down a division then I would replace Yak with Rochina and put Formica/Vuckevic at right midfield (again whoever Kean thought would be staying). I want Rochina in the team somewhere. Either right or left wing or upfront. Rover the Top wrote: I think it no longer matters. Do you think we are down then? Personally i think we will win this and then get nothing from the Chelsea game sealing our fate on the last day. I do like. I also think Wigan will smash us. On th 12:58:43 twitter it says Vebkys are not willing to sell still. They won't though its there club and not ours. We are just £ signs to them. I'll be surprised if Bolton don't pick up any points from the two home games they have before we next play, meaning we'll have to go to Chelsea needing something. And after yesterday's pitiful surrender when we should have been fighting for survival, it's hard to imagine how it would be different at Stamford Bridge. Doesn't really matter who we pick; they're all dogturd. 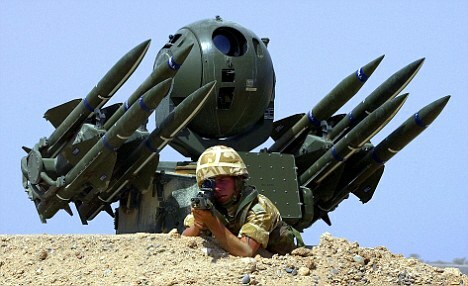 In an effort to avoid a repeat of the fly past earlier this season calling for the resignation of Steve Kean (can't think why) there is a rumour going round that Venky's are going to have surface to air missles launchers mounted on top of the Blackburn End. No white flag to surrender?